These realistic take out container lo mein cakes are incredibly easy and fun to make. 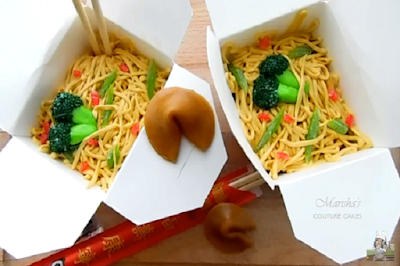 They'd be perfect for a fun Chinese Takeout party or for anyone who loves cake creations that look like other foods. I made this a test kitchen video as well to find out if these containers would be good for baking. Turns out that the flaps will brown. However, baking the cakes in the container and transferring them to a new container after baking meant that I wouldn't have to do any carving or shaping to fit the container. 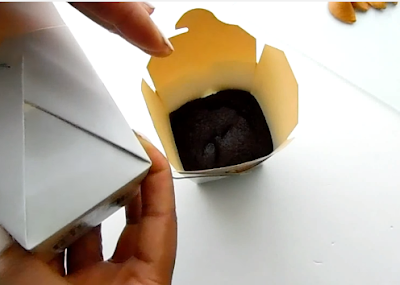 So next time, I'd line the container with foil and bake the cakes in the container then transfer. 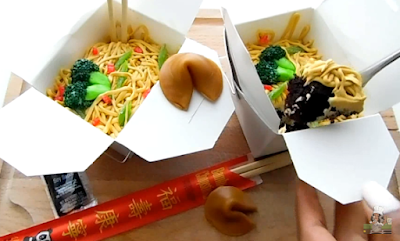 For this video (posted above), I used my Favorite Chocolate Cupcake Recipe and a Quick Vanilla Buttercream which made for a perfect consistency for the noodles. For this video, I tested how well the containers would hold up in the oven. 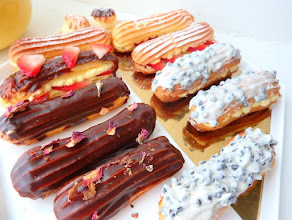 While they changed color, they made the perfect cakes which I was able to cut out and transfer to another container. When filled half way they baked at 350 for 25 minutes or until a knife inserted in the center comes out clean. 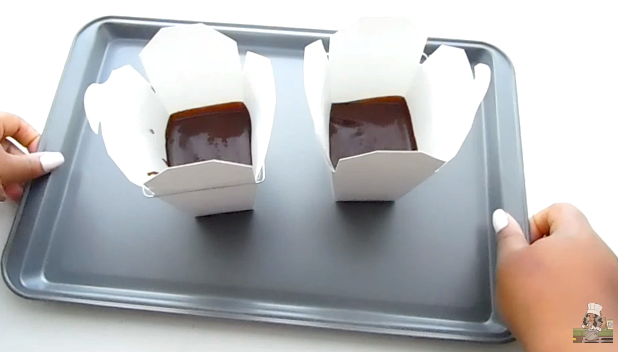 If you don't have extra containers to bake in: Bake a small sheet tray of cake in a 350 degree oven for about 20 minutes or until a knife inserted in the center comes out clean. 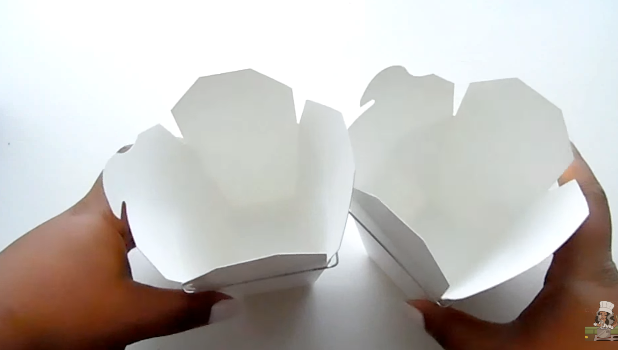 After the cake is baked and cooled, measure the size of the takeout container and cut cake according to measurements. This is a great way to create a layer cake in the container. Add as many layers to the container as you'd like. 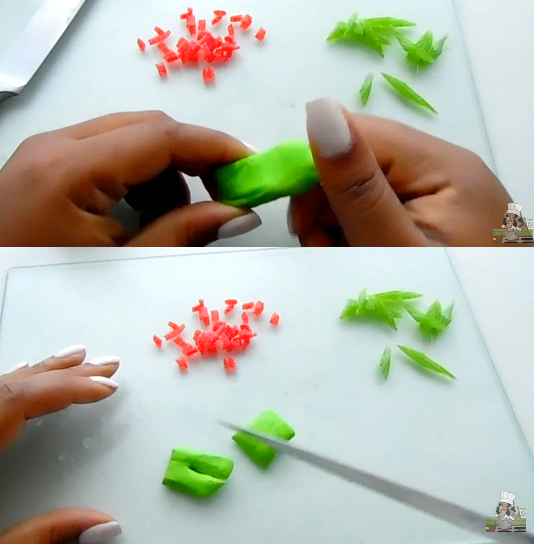 Just as you might a green onion, carefully slice the green candy straws on a bias and set aside. 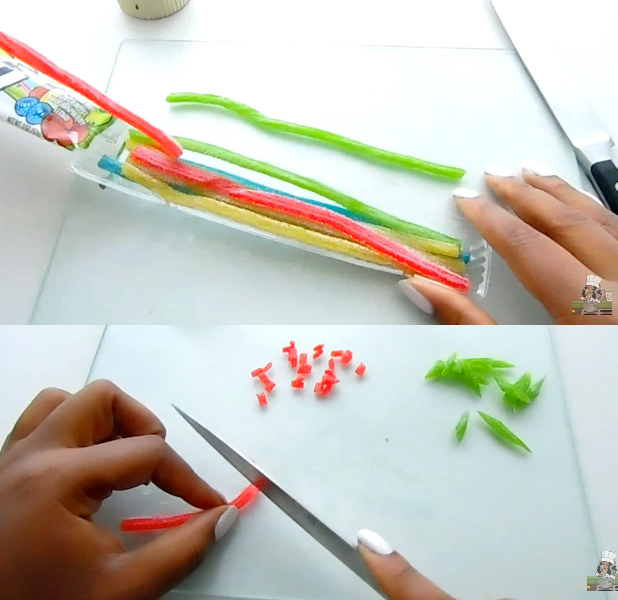 Make small slices of the red straws to look similar to red peppers. 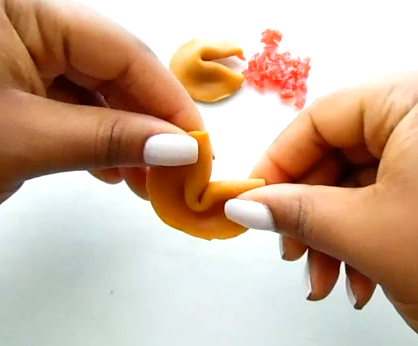 You can use any soft caramel candies that you'd like for the fortune cookies. If using cream filled, just remove the cream centers. 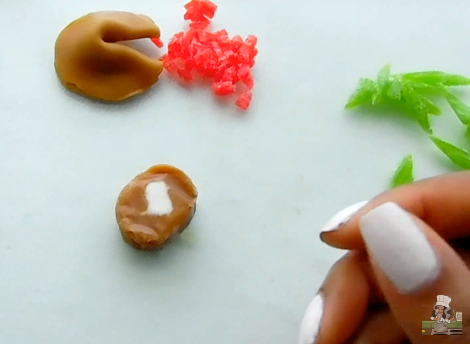 Use the warmth of your fingers and palms to roll the caramels into a ball. With a rolling pin, roll the caramels out until they are like thin wafers. A bit of powdered sugar on the surface will help with stickiness. Once rolled out into a flat circle, gently bring one edge to another - folding in half only to seal the edges. Indent the middle of the flat side to help bring the outward pieces backwards and together. Set aside. 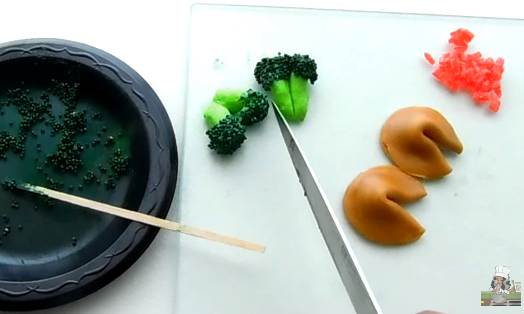 Cut the laffy taffy in half to create two separate broccoli pieces. Then, make a cut about 3/4 of the way and carefully spread those pieces apart. Put small amount of green frosting into a sandwich bag and cut a small corner to pipe a dot onto both ends of the broccoli. 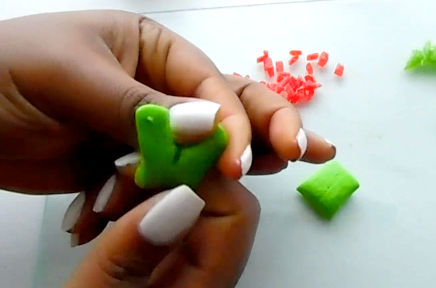 Dip the frosted ends into the green dragees and cover completely. Side Note: I only had gold dragees but was able to color them green by spraying with edible green spray paint and coating with green petal dust. 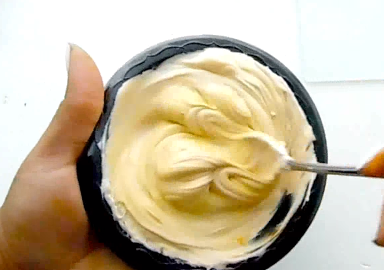 Color frosting: To achieve this color, I added 2 drops of yellow gel dye and 2 drops of brown to about 1 cup of frosting. Mix thoroughly and put into a sandwich bag. Cut one small corner of the bag to create a piping bag. Pipe the "noodles" onto the cake making sure to cover completely. Let the noodles drop randomly and try not to overthink this step. 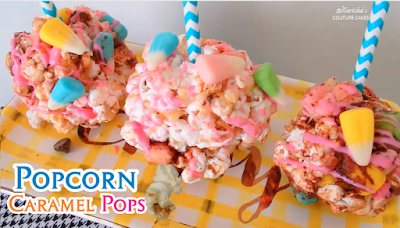 Finish by adding the candy toppings and piping a a couple more strands of noodles on top. Subscribe to my channel to join me on YouTube and make loads of couture creations!